There have been talks and rumors about the HTC One M8 Prime’s camera, especially for the Prime's released as being the time for HTC to “get it right” (the duo camera has received its fair share of criticism on both the HTC One and the current HTC One M8). Update: evleaks posted an alleged 360-degree spin of the yet to be announced handset. You can see a look at it from a number of angles below. 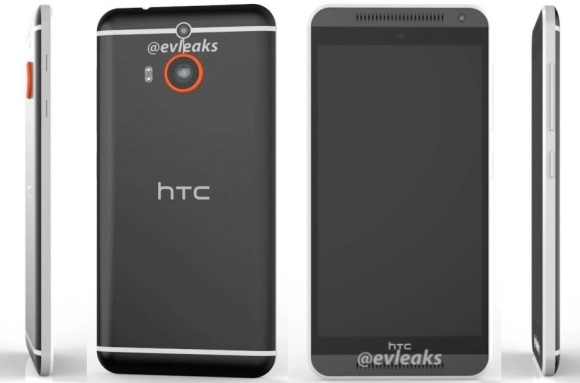 Thanks to the good folks at evleaks, a purported image of the HTC One M8 Prime’s duo camera has leaked and it shows a unit that is slightly raised from the rest of the device, akin to the HTC One X. The raised bump does seem a bit conspicuous, especially since it is highlighted by a bright, almost neon-orange ring of paint, and seems like an odd design choice. It can’t be a purely aesthetic decision on HTC’s part, and probably means that the HTC One M8 Prime’s camera sensor is larger than the 4MP unit currently offered on the One M8’s duo-camera. Again, at this point, it is all speculation, but it does seem likely that HTC would improve upon the One M8 Prime's camera, as consumers and reviewers alike have criticized the duo unit. hahaha I don't think he does English ;) P.S - I hope they change that orange ring to red or silver. Either way I'll probably buy this phone but only if the camera is significantly upgraded from the M8. We all know how that turned out. Hi, So far, the best design,? but The first customer is my. ?